The 2017 Subaru Impreza in Kansas City MO has been completely redesigned this model year. 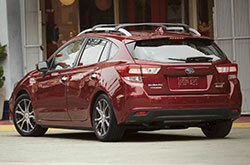 Available as a hatchback or four-door sedan, the Impreza is just what you've been looking for. This year, the new model gets a roomier interior, more power, enhanced features and a slew of state-of-the-art safety technologies. With its longer wheelbase and wider cabin, the fifth-generation Impreza offers a much smoother and more refined ride than ever before. Continue reading our 2017 Subaru Impreza review for more information. 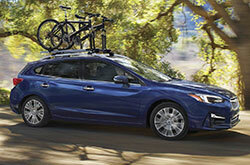 Available in base, Premium, Sport and Limited trims, the Impreza comes well-equipped at each grade. 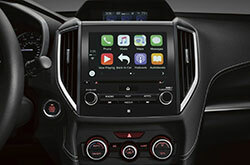 Even the entry-level model (2.0i base) gets excellent standard features like a 6.5-inch touchscreen with Android Auto and Apple CarPlay. Amenities like automatic headlights and heated front seats can be had on higher trims as well. An available power moonroof and driver assist technologies are also offered on these trims. 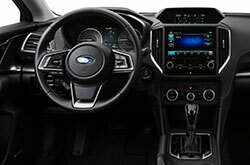 Impreza's latest addition to its lineup, the Sport, comes with unique suspension tuning, an 8-inch touchscreen display and a Harman Kardon audio system. The Limited gets all of the above and an 8-inch touchscreen display, unique interior trim and Active Torque Vectoring. In one Edmunds' 2017 Subaru Impreza review, the car is praised for its brand-new 2.0-liter four-cylinder Boxer engine that now gets direct injection, boosting power and fuel efficiency. In addition, the new motor gets a 4-hp increase, now up to 152 horsepower. For 2017, the Impreza also comes with a continuously variable transmission (CVT). Plus, there's a new 7-speed manual mode function on upper trims to give the driver more control on the road. In addition, the new Sport trim's Active Torque Vectoring technology is expected to provide enhanced handling on tight curves and windy roads. The Impreza will be available with Subaru's EyeSight technology, which includes Adaptive Cruise Control, Automatic Pre-Collision Braking, and Lane Departure Warning with Lane Keep Assist technologies. There's also the available Blind Spot Monitoring and Rear Cross Traffic Alert systems for improved safety. Additionally, several airbags come standard on the 2017 Subaru Impreza in Kansas City, along with Reverse Automatic Braking and a 4-way Tire Pressure Monitoring System. 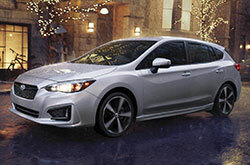 If you're not sure the 2017 Chevrolet Cruze, Volkswagen Jetta, Ford Focus, Mazda3 and the Honda Civic are fit for you, then view a 2017 Subaru Impreza near Kansas City. Its abundance of features and persona may be just what you need in an everyday vehicle. Find out if the 2017 Subaru Impreza is right for you using our evaluation and other research tools, then browse the latest financing and leasing incentives! To see a quality selection of cars, come to us to find lease offers on the fashionable Subaru Impreza. Our thorough review makes it effortless for you to access the specs you need, and we hope it offers a helping hand when it comes to making a good vehicle purchase. 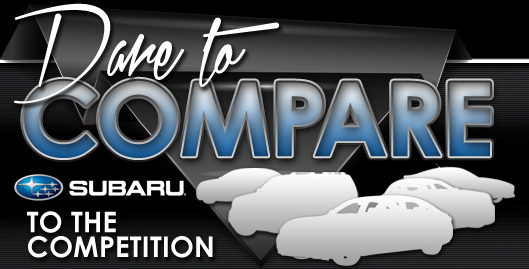 Check out new Subaru Impreza models at Van Subaru - scheduling a test drive online is a simple process using our contact form. For those who'd like to see it right away, we've enclosed a video that showcases its equipment.